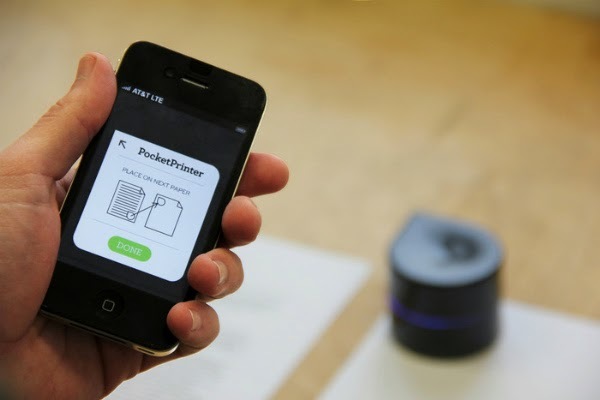 'Mini Mobile Robotic Printer' is a portable robotic printer that works by traveling across the surface of a piece of paper. 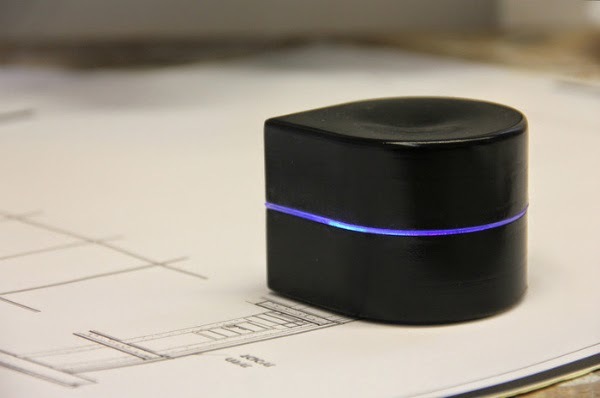 Developed by Israeli startup Zuta Labs, Mini Mobile Robotic Printer has reached the goal of $400k at Kickstarter crowd-funding. It has a rechargeable battery with an on\off switch, it connects directly to smartphones and to PCs using Bluetooth, and it allows the user to print on any size piece of paper. The printer is activated by sliding a hatch at the bottom of the printer which will reveal the inkjet which lasts for over 1,000 printed pages and the battery lasts for over one hour per full-charge. Weight is only 300g and it can print any standard size with 1.2 ppm speed.